Here at Millennium Medical in Chevy Chase, we always want to make sure that patients understand the surgery being performed. This is why we offer detailed info about various aspects of follicular unit transplantation (FUT), a highly effective solution for hair restoration. This means covering the risks as well as the benefits of the procedure. Right now, we'd like to take a moment to consider the risks that patients should keep in mind as they undergo care. Are complications likely after follicular unit transplantation (FUT)? Thankfully not since FUT has been carefully developed and each treatment plan is meticulously implemented to avoid major problems. With that in mind, there is always some degree of risk associated with any surgical procedure, no matter how small. Below are just a few potential risks to keep in mind and some basic tips on how they can be avoided. 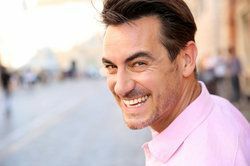 Infection is a possibility following any sort of surgery, though it can be especially bad following a hair transplant given its affect on the transplantation area and the donor site. The best way to prevent infection is to shower and shampoo as directed by your surgeon in order to keep the scalp clean and free from harmful bacteria. If you have issues with healing properly and promptly, there may be issues with major scarring. This can be especially problematic in the area where the follicular grafts are placed, leading to major issues with the aesthetics of the scalp. We will discuss issues with past scarring at length during the consultation to determine if the surgery will be ideal for you and your situation. Excessive bleeding can lead to increased risk of infection, scarring, and other serious issues with healing time and healing experience. In order to prevent excessive bleeding, we will make sure that patients are not taking any blood thinners prior to surgery or in the early days of recovery. We will also note other conditions that patients suffer from that may lead to issues with excessive bleeding or issues with coagulation. If FUT is performed at a relatively early age, there is the possibility that patients will continue to lose hair given the nature of male pattern balding. (Some temporary hair loss is common but is merely a side effect of treatment.) In order to prevent further permanent hair loss after surgery, we wait and take conservative measures, ensuring that patients have experienced the full extent of hair loss from pattern balding. Some patients may not be satisfied with the results of their surgery. This can be related to various matters, including the above-listed complications or poor aesthetics of the final result. In order to avoid aesthetic dissatisfaction, we work carefully to ensure that each surgery is performed naturally and that any follicular grafts that are placed are done so in a manner that resembles a natural hairline distribution. In addition to the above tips for preventing complications, patients should keep in mind that they will be given detailed information on post-operative care. Following these instructions to the letter will help ensure the best possible results from FUT. Keeping in touch with your hair restoration specialist as you heal is a good idea. This will allow you to report any undue discomfort or potential issues as soon as possible and get the treatment that you need when it is needed most. For more information about follicular unit transplantation (FUT) and your many other options available for advanced treatments for balding and hair loss, be sure to contact our hair restoration experts today. Dr. Hadi M. Rassael and his entire team look forward to meeting you in person and helping you achieve a full and beautiful head of hair.